I wanna draw the picture such this picture. This picture was drawing by Fuku Akino who is Japanese artist, and she lived in India a long time. She drew by painting materials of Japanese style painting. When I meet her work for the first time, I received impression. 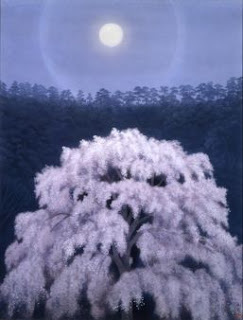 And, I wanna draw by painting materials of Japanese style painting. After that, I met various Japanese-style painters' works. 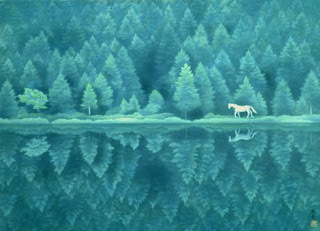 I was impressed in that to see Japanese-style painter's named Kaii Higashiyama work. I wanna draw such his picture.